Camp Sign 2018 – Nurse needed! 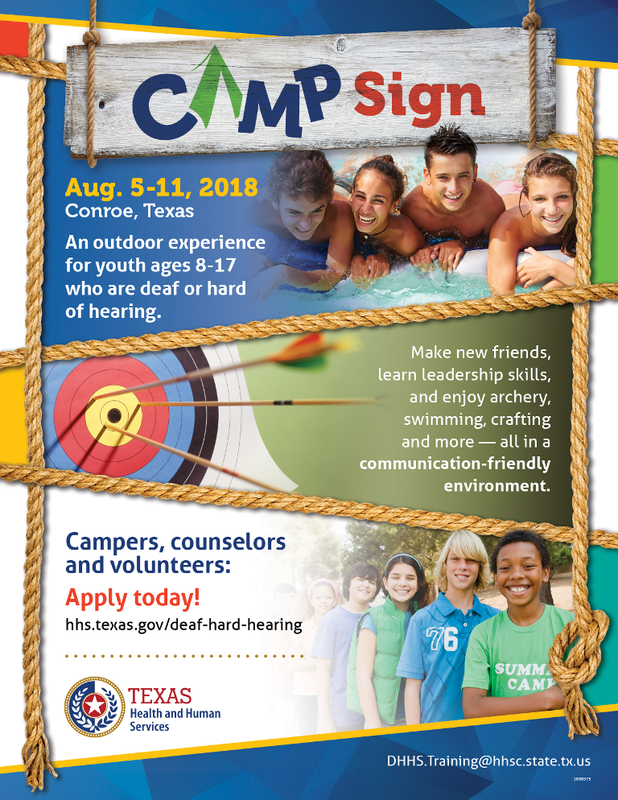 Camp Sign, located at Camp Misty Meadows in Conroe, Texas, is a communication barrier-free camp that provides an environment of acceptance for youth who are deaf & hard of hearing, to gain the skills and confidence they need to lead independent lives. Provide first aid and medical assistance to staff and campers on an as needed basis. Keep accurate records of medically related issues at camp. *** American Sign Language skills preferred, but not required!